At Illinois, Chemical and Biomolecular Engineering students have the opportunity to work alongside our world-class faculty and outstanding graduate students on a variety of research projects, from carbon nanoparticle-based photovoltaics to tissue-on-a-chip models of brain cancer. Students are encouraged to learn more about current faculty research topics and reach out to professors with whom they’d like to work. Omega Chi Epsilon (or OXE), the National Honor Society for Chemical Engineering, organizes an annual research fair to help pair undergraduate students with research groups. OXE also organizes a research symposium every spring to showcase undergraduate research accomplishments. Generally undergraduate researchers earn course credit to satisfy technical elective requirements in the department, though opportunities for paid positions are sometimes available. Students interested in pursuing graduate school after graduation are particularly encouraged to seek out research opportunities. Undergraduates can earn up to a maximum of 10 hours of undergraduate research credit to satisfy degree requirements for the Chemical Engineering Concentration, and a maximum of 9 credit hours to satisfy degree requirements for the Biomolecular Engineering Concentration. This includes ChBE research credit (CHBE 297, 397, 497, 499) and research credits through other departments. A maximum of 3 credit hours can be used to fulfill the 400-level Chemical Engineering elective requirement. As a general guideline, students are expected to spend 4-5 hours/week in the laboratory for each 1 semester-hour credit in undergraduate research. Students arrange their research project topic through their research advisor and must obtain approval from the Head Advisor of Chemical & Biomolecular Engineering for all Independent Research Projects. Independent research courses (CHBE 297, independent study for sophomores; CHBE 397, independent study for juniors; and CHBE 497, independent study for seniors) must be conducted under the supervision of a professor in Chemical & Biomolecular Engineering. There are no exceptions. Undergraduates working in laboratories have the opportunity to complete a formal senior thesis project. CHBE 499 Senior Thesis must be conducted under the supervision of a professor in Chemical & Biomolecular Engineering. There are no exceptions. CHBE 499 projects involve a minimum of 5 hours and a maximum of 10 hours of undergraduate research credit, and require the undergraduate to write a formal thesis at the completion of the project. The total credits may be spread over two or more semesters. While it is possible to complete a 5 hour ChBE 499 project in a single semester, this represents an exceptional case. Under no circumstances will more than 5 hours of research credit be approved in one semester. 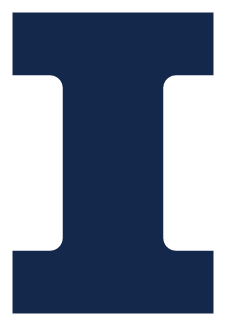 To graduate with Distinction, you must complete 6 credit hours of ChBE 499 and earn a 3.0 or higher overall University of Illinois at Urbana-Champaign GPA. Undergraduates can also obtain research credits to satisfy technical elective credits for their through research projects completed in other departments. These projects must be approved prior to the beginning of each semester and generate credit through the department in which the undergraduate works. Without prior approval approval, credits will not count toward the completion of degree requirements in Chemical and Biomolecular Engineering. Under no circumstances will research credits earned in other departments count as Chemical & Biomolecular Engineering electives. Research credits will not be awarded to individuals doing research off-campus, such as at companies.